Computer giant IBM has announced plans to invest nearly $6bn (£3.2bn) in India over three years on the back of strong growth in business outsourcing. The deal, which is triple the $2bn that IBM has already invested in India, is the biggest by a multinational corporation in the country recently. 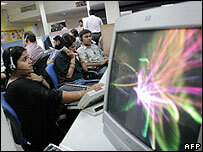 The company has extensive operations in India, most of which are also running business services such as call centres. IBM's workforce in India is the firm's largest outside the US. The company has about 43,000 employees in 14 cities in India. IBM chairman and chief executive Sam Palmisano said the investment will be used to build service delivery centres in Bangalore, India's technology hub, and create a telecommunications research and innovation centre for clients around the world. "India and other emerging economies are increasingly [becoming] important part of IBM's global success," Mr Palmisano told employees and investment analysts at the company's facility in Bangalore. India is one of the six countries to host an IBM research lab. The unit employs 100 out of the total 3,000 spread across the globe. "IBM is not going to miss this opportunity." 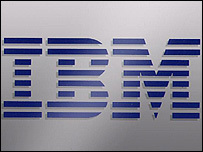 In 2004, IBM bought India's third largest business outsourcing firm, Daksh, based near Delhi. IBM began its operations in India in the early 1990s, but the real boost came after 2003 when it began making India a key base to support services for clients around the globe. India's software services sector is likely to grow by more than 25% this financial year on the back of rising demand for outsourcing, India's National Association of Software and Service Companies (Nasscom) he said. Many US firms are taking advantage of India's pool of well-educated, English-speaking graduates to offer business back-office services such as accounting and insurance claim processing - at pay rates a fraction of those prevalent in the US.